How Does Naltrexone Treat Addiction? We’ll verify your benefits and let you know if you’re eligible for care at an American Addiction Centers facility. Naltrexone (Revia or Vivitrol) helps prevent opioids from working in the body (reversing the effects) and is also used to quell cravings in alcoholics. Naltrexone should be implemented as a part of a complete treatment program, including behavioral therapies, counseling, lifestyle changes, and compliance monitoring. 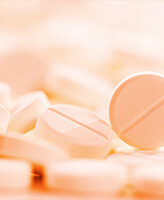 According to WebMD, people should not use naltrexone if they are taking an opiate or methadone as they could experience sudden withdrawal symptoms. According to the Centers for Disease Control and Prevention, deaths from heroin overdoses claimed the lives of more than 8,200 individuals in 2013. Some of those hit the hardest were young people, ages 18-25; use of heroin has doubled in this demographic in the past 10 years. The National Council on Alcoholism and Drug Dependence, Inc. released similar numbers for alcohol addiction. About one in 12 adults, or 17.6 million individuals, in the country struggles with alcohol dependence or abuse. In addition, millions more are involved in dangerous drinking that could eventually result in dependence or abuse. Thus, naltrexone and similar medications could potentially benefit millions of individuals nationwide. The U.S. Food and Drug Administration approved naltrexone on April 13, 2006, to treat alcohol dependence. The drug is marketed by Alkermes and sold under the brand name Vivitrol. In October 2010, the FDA approved the same drug for monthly injections for those in recovery for opioid addictions. Clinical trials on the drug were conducted from February 2002 to September 2003 with 899 people in a random, double-blind study that included the use of placebos. The results indicated a 25 percent drop in heavy drinking with 380 mg of the drug and a 17 percent drop in heavy drinking with a 190 mg dosage. Researchers reported that the drug was well tolerated and effective during the six months of treatment. According to the National Center for Biotechnology Information, nearly three-quarters of opioid users also regularly drink alcohol. In one study, 57 percent of 5 million users who self-reported taking illegal opioids admitted that they were also problem drinkers. Furthermore, if the individual in alcohol recovery begins drinking again, they are also likely to relapse into opioid use as well. Thus, naltrexone offers great potential for addressing both issues simultaneously. Researchers expressed their pleasure at the test results and the possible ramifications for several populations, including those coming through the criminal justice system who were working to become stable members of the community. The naltrexone implant, which is surgically inserted into a person, releases a continuous dose of the medication and thus eliminates the problem of missing doses. However, the person must get a new implant every few months. While not yet been approved by the U.S. Food and Drug Administration, these implants show promise for future treatment. For treatment of alcohol addiction, naltrexone is usually given in dosages of 50 milligrams per day although sometimes a patient will ingest a higher dose under the observation of a physician at a clinic every two or three days. The dosage varies depending on the person’s medical situation. Usually, the patient starts with a smaller dose that might be increased as needed. The individual should closely follow all instructions when taking the prescription and schedule a specific time to take it daily. The doctor will often administer a urine test first to ensure that the individual has not used opiates before beginning naltrexone. For treatment of opioid addiction, the individual is usually started at a 25-mg dosage, which can be increased to a 50-mg dosage if needed. Alternatively, a patient might ingest a 100-mg dose every other day or a 150-mg dose every three days under medical supervision. Individuals who need to undergo laboratory tests should inform doctors and laboratory personnel that they are taking this drug. Since the drug can make individuals dizzy, users should not drive, use heavy equipment or machinery, or perform any activity that requires them to be alert until they know that they can do so safely. Naltrexone works in three ways: by blocking the effects of the opiate, decreasing the desire for alcohol or opiates, and interfering with a continued desire to keep drinking in case of a drinking relapse. Before taking this drug, people will need to let their physicians know if they have any allergies. In addition, they should inform medical professionals of their medical histories, including any use of opiates, liver disease, or kidney disease. Patients should carry a card containing updated emergency medical information that states they are taking the drug, so medical personnel can be aware in the event of an accident or other emergency. According to the National Institute on Alcohol Abuse and Alcoholism, naltrexone is not addictive. Even when people stop taking naltrexone, they could be sensitive to low doses of opioids, which can mean possible life-threatening risks from using opioids. If individuals must undergo surgery while using this drug, they should be sure to advise their physicians. If they take a large dose of an opioid while using naltrexone, they could suffer serious reactions, including death. While this medication might be prescribed to pregnant women, all women should discuss its use with their doctors first. It is unclear if this medication transfers to breast milk, so a mother who is considering beginning a naltrexone regime should consult a doctor, especially if she plans to breastfeed her child. Naltrexone can cause liver problems, so clients will usually undergo a blood test prior to beginning treatment. As treatment progresses, more blood tests will monitor how the drug is impacting patients. According to the National Center for Biotechnology Information, low doses of naltrexone could decrease the symptoms of several other diseases, including multiple sclerosis, Crohn’s disease, fibromyalgia, and complex regional pain syndrome. The drug can act as an anti-inflammatory agent, effectively treating these diseases. Don't know where to turn?